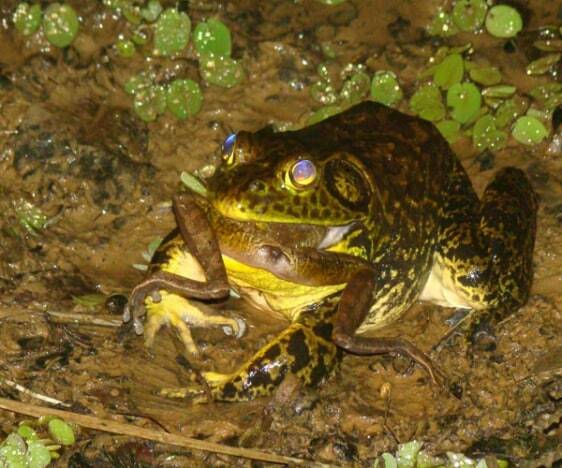 A North American bullfrog devouring a native frog in Brazil's Atlantic Forest. Bullfrogs are raised on frog farms in Brazil and are shipped worldwide as food. Some bullfrogs have established feral colonies in Brazil's Atlantic Forest.